The joy in preparing for my probiotic foods cooking class was introducing myself and the participants to homemade and store-bought fermented foods with live-cultures. Being new to fermentation myself, I ordered a few educational, how-to-ferment, cook books by James Beard Award-winning and NY Times bestselling author Sandor Ellix Katz. He is considered "The Johnny Appleseed of Fermentation" by Michael Pollan. Katz says in his book, Wild Fermentation, that for him, it all started with sauerkraut. 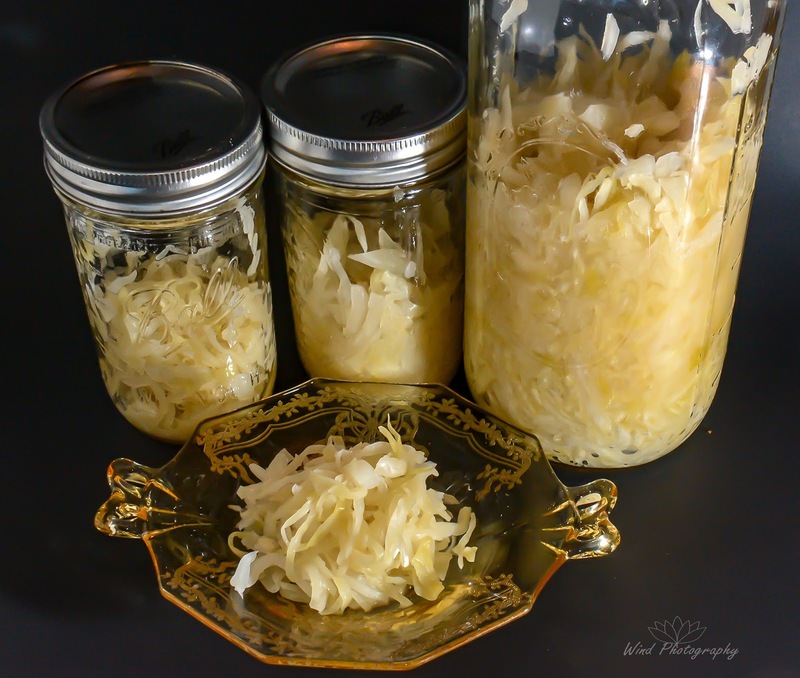 Sauerkraut is a good place to start for making food with probiotics. Our first batch of sauerkraut is fermenting now. We used the dry-salt method and did not add any water. When enjoying probiotic kraut in meals it is important to remember to eat it at room temperature or not to heat it too high or the beneficial live probiotic microorganisms will die. To start your adventure in fermented food preparation, first decide what containers you would use. We washed out a few Mason canning jars that we had in our basement. We use them in jelly making and preserving our Jersey tomatoes - now they have yet another purpose - sauerkraut! You can readily find Mason jars at grocery markets and stores like Walmart and Target. Our next batch of kraut is going in our crock pot, for an even larger batch! Ferment time: 3 to 4 weeks or more (of course you could nibble sooner too) - taste and you decide! Fermentation for at least 9 days yields a more diverse group of microorganisms. Rinse cabbage; discard any dirty, bruised leaves and core and shred the cabbage like you would for Coleslaw. Add cabbage to large bowl and sprinkle top with salt. Squeeze and massage salt into shredded cabbage until you start to notice sweating and moistening of the cabbage. This indicates that cell walls are breaking and water within the veggie can seep out. Stuff the cabbage loosely into clean jars. Then firmly tamp down using tongs or a wooden spoon. Cover and let nature do the rest! Check your kraut daily and open the lid to allow any natural gas to escape. Tamp down each time to press down the top cabbage pieces into the brine. Congratulations! You've just completed Sauerkraut Fermentation 101. In your next batch try using other types of veggies. In his book, Sandor Katz suggests radishes, turnips, carrots, beets, garlic, greens, peppers and other veggies. Other options include: caraway seeds, turmeric, ginger or whatever else you can imagine. People use many different methods to weigh down the top layer of cabbage to keep it under the brine. We didn't do anything. When we try a larger batch in a crock, I may use a stainless steel pot lid to press down the top. There are several strains of desirable lactic acid bacteria that will develop and preserve your sauerkraut by lowering the pH. This type of bacteria are anaerobic so it won't matter if you want to cover your kraut with an airtight lid. Just remember to allow the natural gas that forms to escape daily. We used a huge 4 lb. head of store-bought cabbage. Sliced it and added 2 T of salt. After massaging in the salt I took a taste. It tasted too salty. After one week I took another taste and it was so much better; still crunchy, but had the familiar flavor of sauerkraut. Success! What if Brine Does Not Cover Top of Cabbage? As you can see from my photo above, our brine is not covering the top layer of cabbage in the first week. I'm thinking that the green cabbage that we used may not have had as much water in it's cell walls like homegrown, fresher cabbage probably would have. If that happens to your kraut too, an option would be to make a small amount of brine (non-iodized sea salt and water) and add it to the jars. Update 1/26/18: We waited three weeks before making and adding brine and by the third week, enough natural brine developed so we did not add any. In recent years there has been a surge of interest in Gut Health and Gut Microbiota. As a Clinical Outpatient Registered Dietitian I provide nutrition counseling for patients battling or wanting to prevent diseases that include: Obesity, Insulin Resistance, Diabetes, Dyslipidemia, Crohn's disease, Ulcerative Colitis and Irritable Bowl Syndrome (IBS). Scientific research is ongoing and showing promise for all ages across the lifespan - infants, children and adults - including Individuals with these diseases (and other conditions) for health benefits from Pre- and Probiotics. In October 2013, an expert panel was formed by the International Scientific Association for Prebiotics and Probiotics (ISAPP) to further discuss and study the emerging science of how they benefit human health. Recently, I taught a Cooking Class at Inspira Health Network on this very topic. I had more people sign up than I expected! Most participants had heard of probiotics; more so than prebiotics. Below is a brief RD chat on the subject. Recipes will follow. Prebiotics are non-digestible dietary fibers that feed Probiotics. Prebiotics are usually found in plant foods; but, did you know that there are a number of prebiotics in human milk too? Yet, another reason making breastfeeding superior nourishment for babies. Prebiotics enhance calcium absorption and help in the relief of constipation and diarrhea. Prebiotic foods include: whole grains, onions, bananas, garlic, honey, leeks, asparagus, cabbage, soybeans, dandelion greens, artichokes, chicory root, Jerusalem artichokes, bran and of course Prebiotic fortified foods and Prebiotic dietary supplements. Probiotics are microorganisms that when ingested have a positive benefit on our health; especially digestive health and immune system. Foods and beverages that offer probiotics must contain live cultures as found in Macrobiotic, Vegan products, such as: miso, tempeh, soy sauce and fermented soybeans called natto. Other, more common probiotic foods include: fermented vegetables, such as: sauerkraut, pickles; aged cheeses, yogurt (with live active cultures), kefir and kombucha tea. 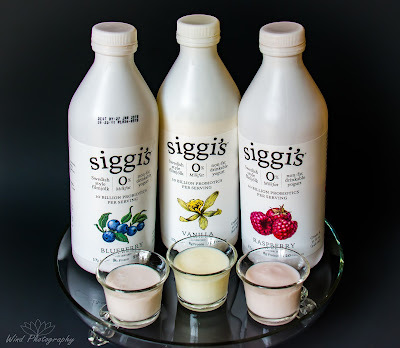 Other functional foods include products such as Siggi's Filmjölk, a Swedish drinkable yogurt, and Special K Nourish cereal with added probiotics. It is important to note that some yogurts and most store sold sauerkraut and pickles are heat treated at high temperature, which kills probiotic cultures. 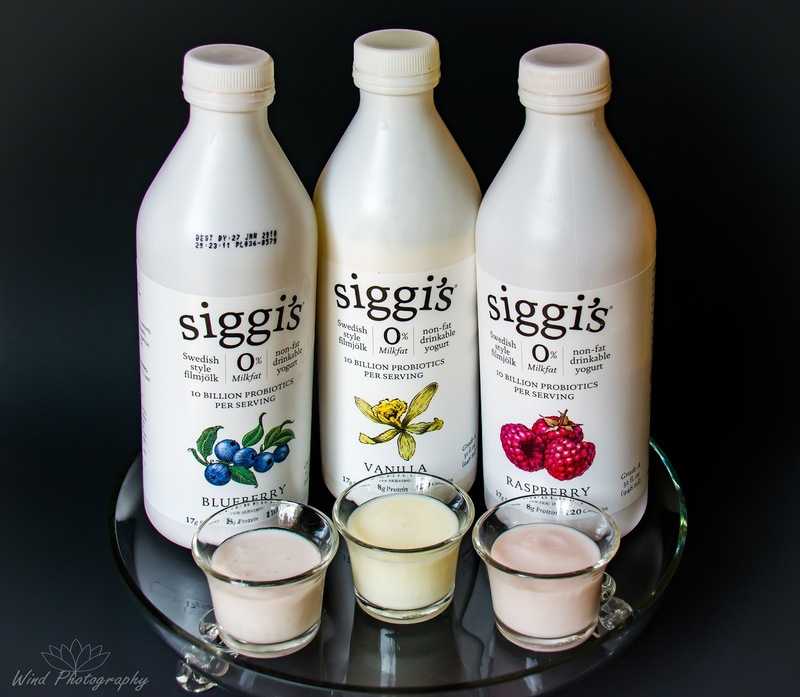 Fermented dairy products are often better tolerated by individuals who are lactose intolerant because the good bacteria metabolizes the lactose into lactic acid. The result is a creamy buttermilk-like flavor. Yeast-risen breads, Coffee, some teas and Chocolate have fermentation involved in their production. However, they are not considered probiotic foods since the cultures are not living when consumed. Carefully reading product labels helps in selecting foods containing beneficial pre- and probiotics. Look for the freshness date and the name of the microorganisms. Look for the National Yogurt Associations "Live and Active Culture" seal on yogurts with probiotics. Probiotics work by colonizing and crowding out the bad potential pathogens, replacing the bad bacteria with good bacteria; breaking down toxins in the gut. Probiotics play an important role in digesting proteins. They produce anti-microbial substances along with needed B vitamins and Vitamin K.
Gut microbiota is sensitive to a high sodium diet. To improve immune dysfunction, hypertension and autoimmune diseases a low sodium diet may be helpful to gut lactobacilli. Limiting added salt at the table and cooking more at home is the best way to control dietary sodium. Sodium is high in most prepared foods eaten out in restaurants. The Dietary Guidelines for Americans recommends keeping dietary sodium under 2,300 mg per day. Check with your Doctor if you have unwanted symptoms or medical conditions. Blog post and photo Copyright (C) Diana Wind. All rights reserved. Mozaffarian, D., Hao, T., Rimm, E. B., Willett, W. C. & Hu, F. B. Changes in diet and lifestyle and long-term weight gain in women and men. N. Engl. J. Med. 364, 2392–2404 (2011). Gibson GR. Dietary Modulation of the Human Gut Microflora Using the Prebiotics Oligofructose and Inulin. Am Socity Nutr Sci. 1999;129:1438S-1441S. What dose is recommended? Is more better?